The energy that drives The Family Development Center @ Catherine’s house springs from two sources; the charism of mercy and the founding spirit of Catherine McAuley. In 19th century Ireland, Catherine began her work by establishing the House of Mercy to provide safe shelter, job training opportunities for a productive future to poor young women who were without resources and often diseased. Her care of the poor sick in their homes laid the groundwork for networks of hospitals in the English speaking world that are distinguished by their service to the poor. Today, the problems Catherine encountered are with us still. In our times, risks to teens from poor families and neighborhoods of poverty include domestic violence, abuse and neglect, gang membership and crime. These well documented trends lead to early school drop-out and consequent loss of job opportunities; depression and substance abuse; and, in the case of girls, early, unplanned pregnancies with little preparation for the responsibilities of parenting. 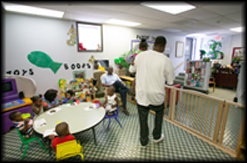 The Family Development Centers is a place of intervention and gentle, yet consistent, correction for young people in Central High School communities. We are personally inviting you- the community, individuals, businesses, churches and organizations to join us in a morning of thankful prayers, personal testimonials, and inspirational fellowship as we come together to support our at-risk teens, teen parents and their families. The Family Development Center at Catherine’s House proudly announces “The 9th Annual Community Prayer Breakfast Benefit.” Come join us on Saturday, October 28, 2017 at 9:00 a.m. at the Better Community Development Center, 3604 West 12th Street, Little Rock, AR 72204. Tickets are $25.00 per person and corporate tables are $150.00 for six people. All proceeds go to the Family Development Center Teen Programs. This year, our theme is “Empowering Children, Youth and Families through our Community Partnerships.” We will recognize our Community Partners who have assisted us over the years with donations, speakers, services and other valuable resources to help our teens become productive members of society. Please come and share our joy in honoring these young teens. Order your tickets or table today. For more information contact Brenda Hill- brendahill601@yahoo.com – 501-661-4001 or Ashley Bozeman at 501-661-4001. We look forward to the opportunity to fellowship together and to recognize the great work of the Family Development Center at Catherine’s House. Teen Moms: FDC’s Teen Mom Program intervenes in the life of an adolescent when there is a crisis, namely an early and unplanned pregnancy. 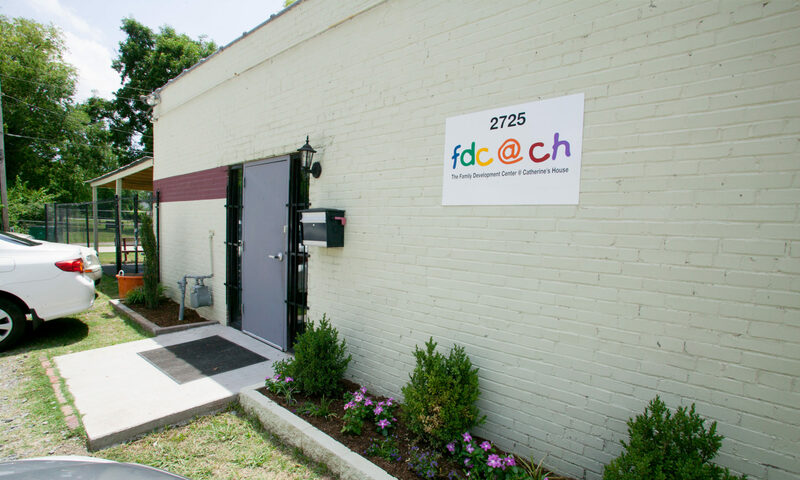 The staff of FDC provides case management services, tutoring, and life skills classes for these teen moms to help them cope with this life change and how it impacts their family. These young parents learn about child development, appropriate parenting skills, how to keep themselves and their babies healthy, family nutrition, exercise and diet, and gain ideas for family activities. Without these interventions, the impact of their unplanned pregnancy could lead to dropping out of school, juvenile delinquency, and a life of poverty. significant information on the importance of fatherhood and are encouraged to embrace their role as a father. They also gain practical knowledge about how to be a positive father figure, which requires them to focus on personal education development, financial responsibility and developing family relationships. 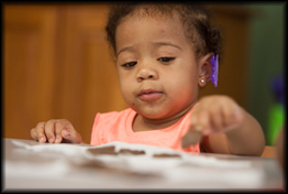 Child Development: An integral part of ensuring the teen parents participating in other programs at FDC are able to continue working on their educational pursuits is providing safe and reliable childcare for their infants and toddlers. A quality program of child care and development is the means for attracting adolescent parents who are at risk for dropping out of school and becoming isolated from family, friends and the community around them. The children of teen parents have unique needs that must be addressed in order to break the cycle of teen parenthood, juvenile delinquency and poverty. By giving these children a solid foundation at the outset, they can thrive. Anger Management: FDC provides an Anger Management Program for first time juvenile offenders at the Pulaski County Juvenile Detention Center. The Program is designed to prepare incarcerated youth for a transition program when they are released from the detention center. One of the goals of the program is to reduce recidivism by teaching these at-risk youth how to recognize and redirect negative feelings that may cause them to lash out at those around them. This in turn, can strengthen ties within their families and within their communities. Without follow-up and opportunities to practice the skills they have learned in a safe environment, these youth are in danger of reverting to the behaviors that led to their incarceration. Make a donation to using your credit or debit card, or your PayPal online account. Just click the “Donate Now” button. OR – make a one, two or three year support commitment through regular monthly deductions from your credit or debit card, or your PayPal online account. Mission: Creating positive life pathways for teen parents and other at-risk youth. Vision: Be a transforming influence in the community by guiding youth toward becoming spiritually grounded and socially responsible members of healthy families.